The United Thank Offering (UTO) is a ministry of The Episcopal Church for the mission of the whole church. Through UTO, individuals are invited to embrace and deepen a personal daily spiritual discipline of gratitude. UTO encourages people to notice the good things that happen each day, give thanks to God for those blessings and make an offering for each blessing using a UTO Blue Box. UTO is entrusted to receive the offerings, and to distribute the 100% of what is collected to support innovative mission and ministry throughout The Episcopal Church and Provinces of the Anglican Communion. UTO Boxes are available in the bell tower. Please prayfully consider using this box in your home for daily/weekly alms as a Lenten practice. 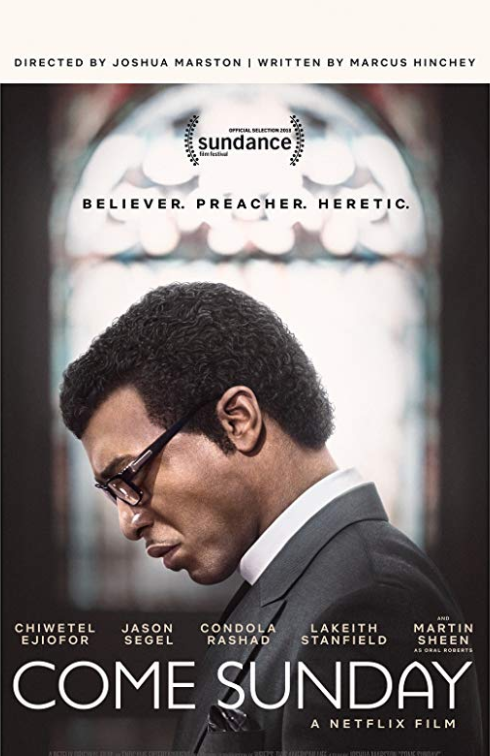 Lenten Series: A Lenten series on Faith and Film will be held in the Parish Hall on Wednesdays during Lent from 6:00 to 7:30 beginning March 13. Please sign up to bring soup and/or bread to share. We will enjoy soup and bread, watch a faith based film and then discuss the film. This series includes the theme of Saints and Sainthood. Due to time constraints, some films will be watched in two parts. Lent Madness! During Lent this year, we will also enjoy a Lent Madness study of saints. To participate, go to Lentmadness.org to vote for your favorite saints. To participate in the Lent Madness Tournament and the chance to win prizes, complete a bracket with your predictions of winners and place in the basket on the stage. The deadline for entries is Ash Wednesday. Prizes for winners will be awarded at coffee hour after the 10:30 service on Easter Sunday. Copies of the bracket are available in the parish hall. Booklets called "score cards" are also available in the parish hall in a limited number for those less inclined to online participation. Noon Eucharist—Beginning March 13 there will be a Noon Eucharist and Healing Service in the sanctuary followed by Lectionary Lunch in the Parish Hall. We are updating the nursery and need some donations of one or two arm chairs and changing tables. We also need extra changing pads and covers. Successful businessman Ron Hall and his wife, Deborah, discover a renewed sense of purpose when they begin to volunteer at a local mission in Fort Worth, Texas. Their lives change forever when they develop an unlikely friendship with Denver Moore, a homeless man who inspires them to save their struggling marriage.